Kenyans are required to have renewed their passports by 31st August 2019 as the old passport will cease to be a travel document by then. 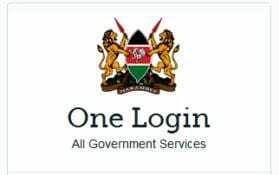 To apply for the new E-passport or to renew, apply online at the eCitizen portal and then visit the immigration office in either Nairobi, Mombasa and Kisumu with your documents. 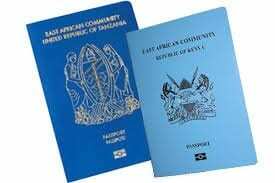 Kenyans in the diaspora can apply for the new passport through Kenyan embassies and consulates near them. Create an eCitizen profile as yourself and not your child as minors cannot have their own personal profile. Select make ‘passport application,’ then select ‘for children.’ Read the instructions, fill it out and then go through the application again before hitting ‘submit’. It is important to review your application and make sure that you indicated Kenya as your country. The default country on the online form is Afghanistan, failing to indicate translates to having chosen Afghanistan as your country. When presenting your documents to Nyayo House, it’s mandatory to go with your child and present a letter of consent from you and your spouse. You can download it from here. Create your child’s profile under your own profile. These are the documents to be presented at Immigration’s office. Get there as early as you can, preferably 6:00 AM to escape the long queues. Furthermore, children have separate queues and offices which increases the chances of being served faster. Consent letter from both parents. Parents National ID card and photocopy. Recommenders ID card and photocopy. A prefilled eCitizen application form and 3 copies of the invoice. Payments are through M-Pesa, credit or debit cards or online banking from local banks. It will take at least 10 to 15 working days after you have physically submitted your application at the Immigration office if the information is filled out correctly. In case more information is needed or application is wrongly filled, it will take longer. Nowadays, a text is sent to anyone whose application is ready to be selected. Visit Immigration’s office if you do not receive a text message notifying you of successful application. While the Recommenders form is available for adult applications, it’s not available for minors on the e-Citizen platform. Please download this form and prefill it while applying for minors. Although not on the e-Citizen platform, it’s required in the post online application process. Applications to renew must be accompanied with the old passport, and 3 photocopies of the last 3 pages. The washrooms are outside but carry your own tissues and sanitizer as there are neither.